Give the gift of dance – swing dance gift certificates! – Hepcats! 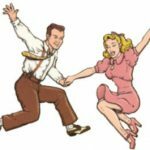 Give the gift of dance – swing dance gift certificates! 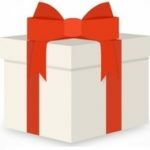 Need a gift for the person that has everything? Give a gift that lasts – with a lifetime of fun and good health! Swing dance lessons are the perfect gift for someone looking for a fun activity, wanting to meet new people, explore a new hobby or just stay in shape. Gift certificates can be customized for a single class/lesson, or for a package of classes, and for single dancers or groups of dancers. One call or email does it all! Contact Mike Richardson at 859-420-2426 or info@luv2swingdance.com to arrange your purchase. How long does it take to become a “good” swing dancer?